Case Checkweigher - Model CSW | Packaging Distributors Inc. 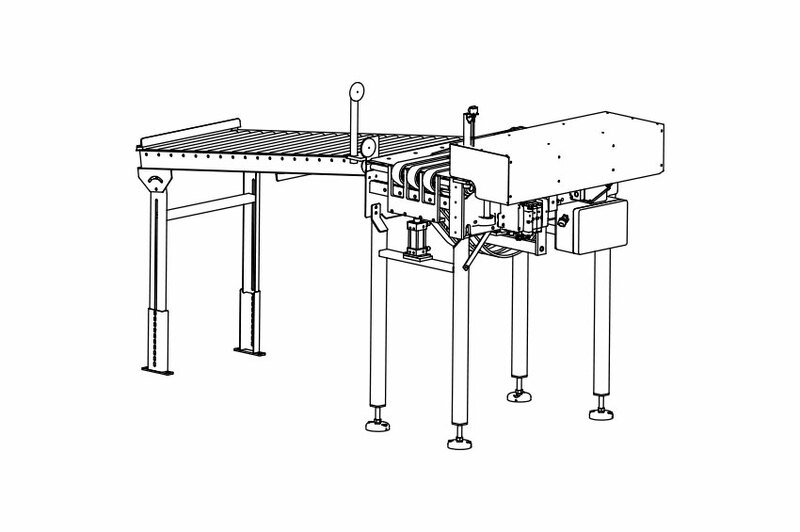 The Model CSW “End of Line” Checkweigher is the standard model in the CSW series line. At a length of just over 3’, it includes case holdback, weighing and reject functions. Over 500 Model CSW Checkweighers are currently in production all over the country. Many of these machines have been in service for 15 years or more. Product is transported to the CSW Checkweigher from an upstream conveyor. A Next Case HoldBack Mechanism assures that only one case is on the weigh platform at a time. In the past, designers used a separate sequencing conveyor for this purpose, but those designs added considerable overall length to the line. Once the back edge of the product is detected by a photocell, the platform lifts the product off the conveyor after a preset delay. At full up position, the weigh platform enters a short delay to allow the load cell signal to settle. The advantage of this sequence is that the CSW Checkweigher weighs only the product, not the conveyor. Weight accuracy is measured to within grams and maximum speed is up to 30 cycles/minute.